This Silver Dollar commemorates the peace that followed the end of WWI. 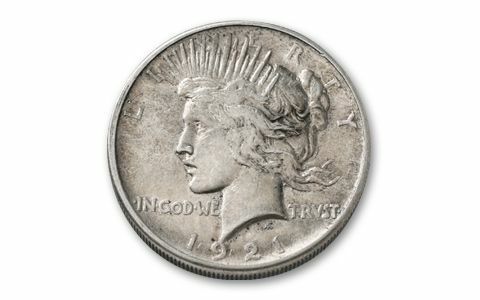 1921 was the first year that Peace Dollars were struck. A beautiful follow-up to the Morgan Silver Dollar that was brought back for one final mintage in 1921, this majestically detailed coin was released that same year. 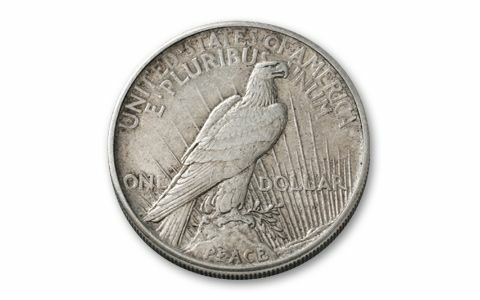 The 1921 Peace Dollar's high-relief design was discontinued after its inaugural year in favor of a low-relief, regular-circulating version that began in 1922. 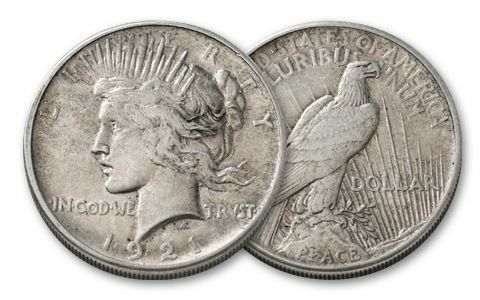 Now is your chance to own the first-ever high-relief 1921 U.S. Peace Silver Dollar struck in 90% silver.